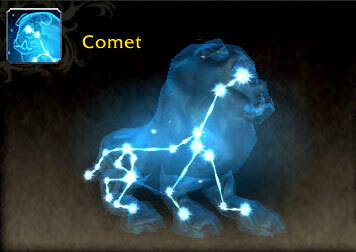 The PTR Pet Journal was updated to include sources for the 11 Raiding with Leashes VI: Pets of Pandaria pets. There are also reports that these pets are now dropping from raid bosses on the PTR. Learn more about which bosses drop each RWL VI pet! It's unknown if any of the RWL VI pets will require a specific raid difficulty for it to drop, similar to the Drudge Ghoul and Wicked Soul situation. Despite difficulty not being specified in the Pet Journal, the former pet drops only from Normal Lich King, while latter comes only from Heroic Lich King in Icecrown Citadel. Wowhead has a quest walk-through, which wraps up 2 character story arcs from the Before the Storm book. The Wowhead guide includes SPOILERS, so read at your own discretion. There are a couple prerequisites for the quest chain that rewards Feathers. The quests require player level 120, and Kelsey Steelspark as a follower (recruited during the Alliance War Campaign). It's currently unknown where/how the Horde version starts. Once collected, Feathers will need an upgrade battlestone, as its base quality is uncommon (green). It is Bind On Pick Up, however it's cageable. 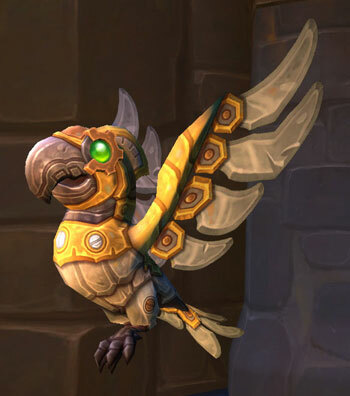 If you don't have a character at max level it might be possible to find this pet on the Auction House in 8.1.5. There are currently 20 new pets coming soon. Which one are you looking forward to the most? im making progress on the family brawler achievement, and ill be farming all those raids on all my alts because....well...i mean have you seen the achievement reward? Love these kinds of achievements and quests but damn. I haven't completed Family Brawler yet or all the dungeon pets or even a fraction of the IE pets.